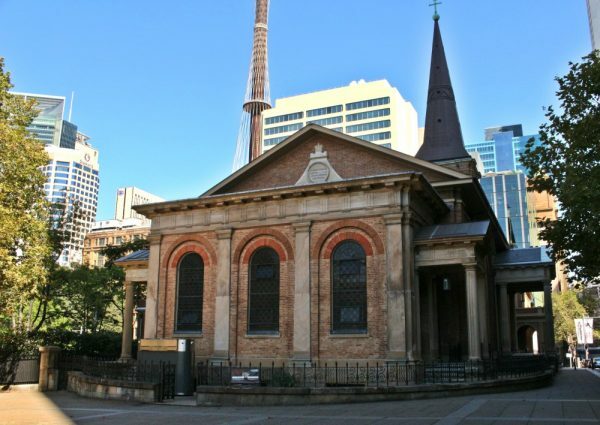 HomeSydney Self-Guided WalksSydney Self-Guided History Walk. 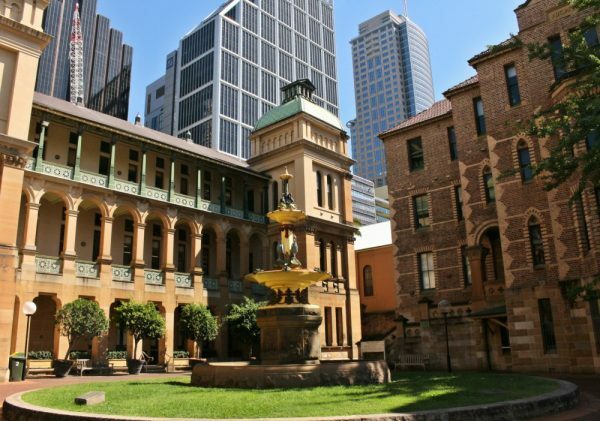 This self-guided Sydney walk will show you the best of historic Sydney in half a day making it perfect for any history lover and an ideal way to see the sights on a short stay in Sydney. 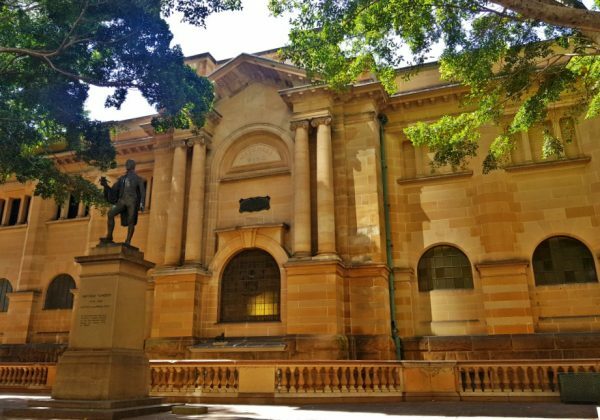 The walk takes you past many of Sydney’s most significant buildings as will appeal to history buffs and those interested in architecture. Highlights include: Hyde Park, UNESCO listed Hyde Park Barracks, Parliament House, Government House and the Royal Botanic Gardens. The walk will take you about an hour and a half unless you decide to enter some of the buildings and museums. With lots of stops, you could spend at least half a day on this route. If you have any questions about the walk or have tried it, I would love to know? This walk begins in Hyde Park, the cities oldest official park. In 1792 this land was set aside by the forward-thinking Governor Philip for public recreation. In the following years, the 16 hectares of flat green space spent time as a race track and a cricket ground. In the 1830s the park was almost released for housing, but thankful a change in governor saw the idea quashed. These days the park is a favourite spot for city workers wanting to escape their desks at lunchtime. 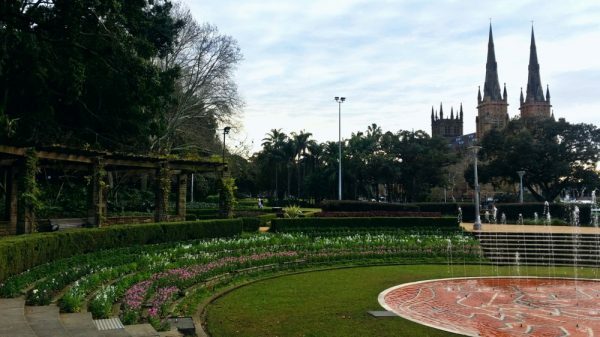 As the weather warms up the park plays host to several festivals including the Festival of Sydney every summer. There are train stations at either end of the park, Museum in the south and St James at the north. The stations opened in the 1920s and have retained most of their original features; you feel as though you have stepped back in time here with original 1920s style ads gracing the billboards. So now you are here let’s explore the key sites in Hyde Park. Located at the southern end of the park just off Liverpool Street this pink granite Art Deco style building was completed in 1934 to commemorate World War 1. The memorial is open daily from 9am-5pm and entry is free. Outside the Pool of Reflection is an excellent spot for a late afternoon photo. 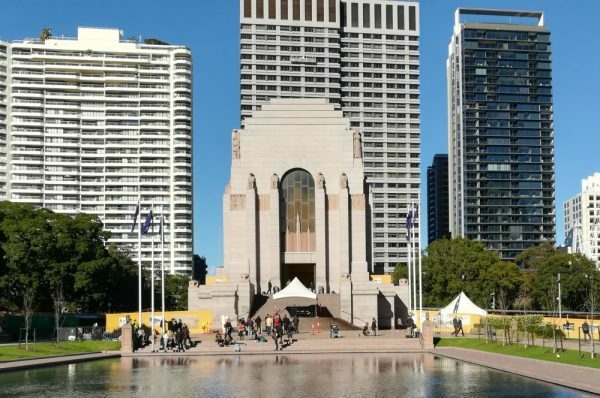 Just along from the memorial on the Elizabeth St side of the park is a large artwork, YININMADYEMI – Thou didst let fall by indigenous artist Tony Albert. 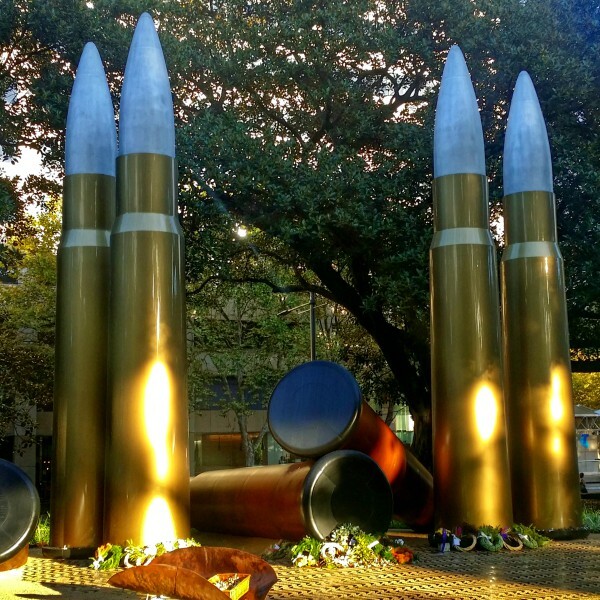 These seven-metre-tall, 1.5-tonne bullets caused quite a controversy with Sydneysiders when they were unveiled. The sculpture acknowledges Aboriginal and Torres Strait Islander men and women who served in the nation’s military. 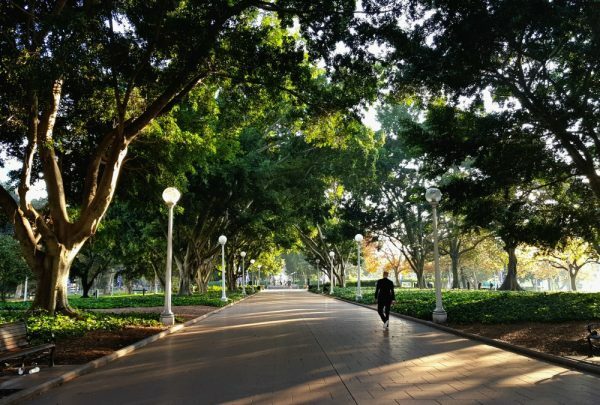 The beautiful path lined with Hill’s Weeping figs runs the full two block length of Hyde Park from the War Memorial to the Archibald Fountain. Sadly over the last few years, several have been removed due to decay, but it is still gorgeous, especially in the early morning light like below. Hidden in the eastern corner opposite the Australian Museum Sandringham Gardens were designed for the 1952 Royal Visit of King George VI. Sadly the tour was cancelled due to the King’s sudden death. 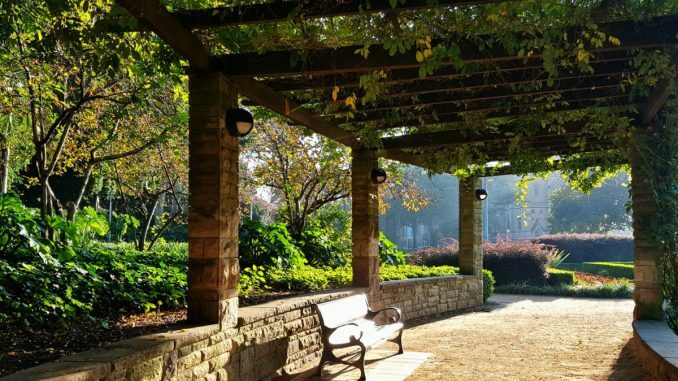 The gardens are a great spot to escape to when you feel the rush of the city getting to you. I love discovering new things about Sydney. 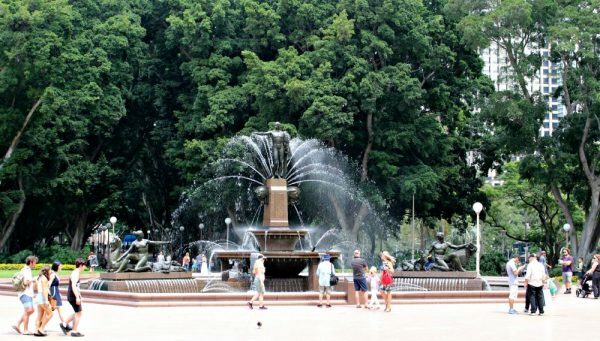 On researching possibly Sydney’s best-known fountain, I found the circle where it sits has a name ‘Birubi Circle’,. I doubt many locals have ever heard of it, we all just say, “I’ll meet you at the fountain”. The Archibald Fountain was unveiled in 1932 and is the work of French sculptor Francois Sicard. It was built as a memorial to the Australian and French cooperation in World War 1 and is named after the owner of the Bulletin Magazine who donated the funds for it to be designed and built. It features Apollo surrounded by three figures, Diana who brings harmony to the world, Pan watching over the fields and pastures; and Theseus fighting the Minotaur. Another fun fact I uncovered researching this post is St Mary’s Cathedral real name is The Cathedral Church and Minor Basilica of the Immaculate Mother of God, Help of Christians. Like all things in Australia, we have shortened it to just St Mary’s. This Gothic Revival style building is said to be based closely on the style of Lincoln Cathedral in England, and indeed, on the inside, there are many similarities. The building appeared in stages with the first being completed in 1900. The spires on the southern end were only completed in 2000 after many years of fundraising. 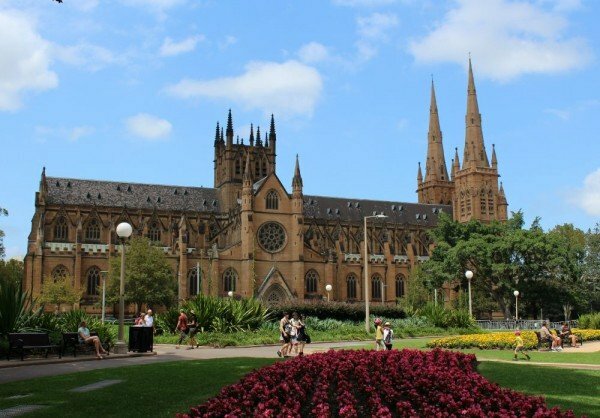 St Mary’s is the largest Cathedral building in Australia. Exit the park and continue walking straight ahead along Macquarie Street. This intersection where Macquarie Street meets Phillip and King Streets is known as Queens Square named for the statue of Queen Victoria. Note the statue of her love Prince Albert Sitting opposite. This street is named after in many ways the most significant of our early governors Lachlan Macquarie. You will come across his work (and name) throughout the city. 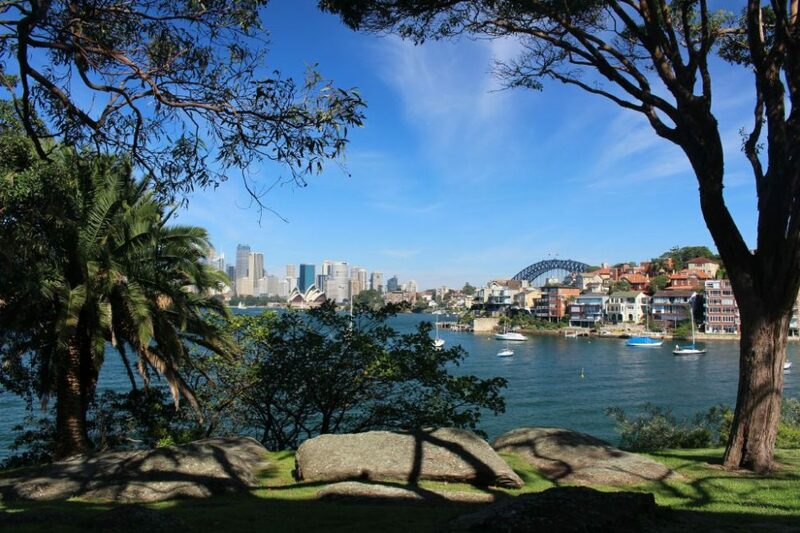 Macquarie was considered instrumental in helping move Sydney from a penal colony to free settlement. This street was originally built to provide access to the first purpose-built hospital in the colony. It is home to several significant buildings, so let’s explore some of my favourites. Insider tip: See if you can find the mosaic on the ground outside the law courts that is a memorial to Francis Greenway who was the architect of three building in this street. 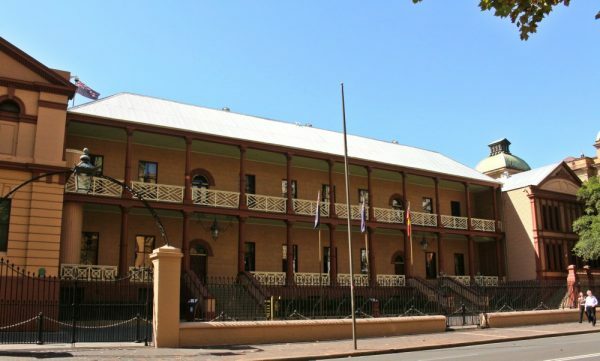 The first building on Macquarie Street is the World Heritage listed Hyde Park Barracks. The barracks were designed by convict architect Francis Greenway and built in 1819. They housed 600 convict men who spent their days in work groups. After convict transportation ended the building was repurposed as the Female Immigration Depot, designed to accommodate orphan girls who were sent to the colony to help reduce the gender imbalance created by transportation. After this, it became the Hyde Park Asylum, a home for destitute and mentally ill women. These days it is a museum that charts the buildings fascinating history. 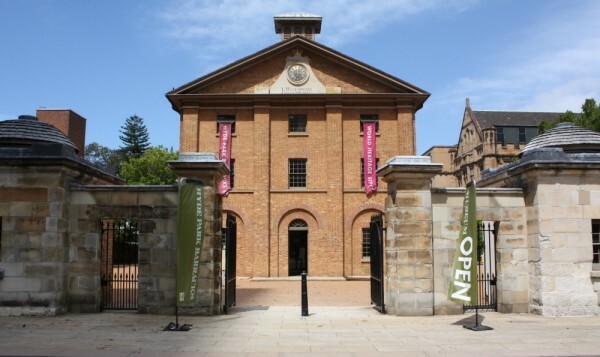 It is one of my favourite museums in Sydney and well worth a short visit. If you are in need of a coffee, there is a lovely cafe in the courtyard here. An interesting, interactive museum of colonial history. The church opened in 1824 as an Anglican church was designed by Francis Greenway. If you happen to be here on a Wednesday consider popping in for their free lunchtime concert at 1.15pm. There is a lovely coffee shop Le Jardin St James is the churchyard that is open Monday to Friday and is a nice spot for a coffee and a little people watching. The oldest public building, it was initially part of the Rum Hospital, but in 1855 it became the first branch of the Royal Mint outside of England. It operated for about 70 years as a mint before newer operations in Melbourne took over these duties, and the building became government offices. These days it is the headquarters of the Historic Houses Trust. Entry is free. There is a lovely gift shop and Bistro here if you fancy some shopping or a nice lunch. A nice spot to appreciate the various architecture of the city. 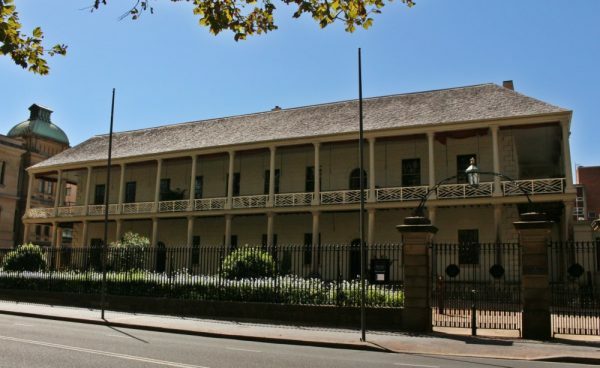 The first hospital in the colony was located in The Rocks and when Governor Macquarie arrived in 1810 and saw the substandard facility one of the first things he wanted to do was build a new hospital. 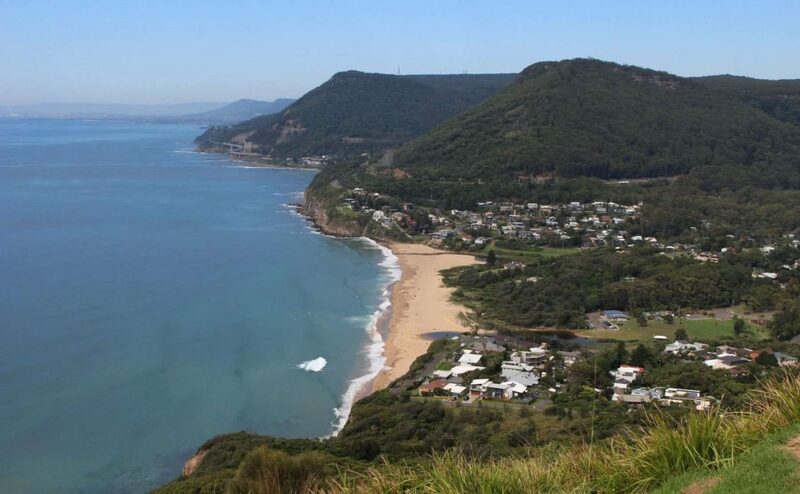 The British government would not provide funds, and so Macquarie worked with local businessmen offering them a monopoly on the colony’s very profitable rum trade in exchange for funding the building. In the late 1860s, Florence Nightingale was approached by government officials to assist with providing training to the cities nurses. She sent five nurses who went on to improve health services in the county. There is a small museum here that is sometimes open to the public. Among the collection is Florence Nightingale’s sewing basket from the Crimean War. Head inside the main gates and take a look at the very pretty three-tiered cast iron fountain featuring brolgas surmounted by black swans. There is a great photo op looking back toward Macquarie St here with architecture from the various periods lined up behind the Nightingale wing. Insider tip: Throw a coin in the fountain and rub the nose on the wild boar statue outside the hospital. This somewhat understated colonial building is where the magic happens, or where the current government mess things up depending on your political views. Initially, this building and its neighbour The Mint were the cities main hospital, The Rum Hospital. See where all the political action takes place. Free public tours are regularly offered, and you can take your turn in the speaker’s chair. When Parliament is sitting, you can join question time from 2.15 pm. The State Library has six new gallery areas, so there is always something to see here. The oldest library in Australia the State Library was first established in 1826 and opened on this site in 1845. The library hosts regular free exhibitions that are often well worth the detour. They also have cheap storage lockers on the lower levels if you want somewhere to leave your things while you wander around the gardens. If you are looking for books on Sydney, they have an excellent collection in the gift shop, clean public toilets and wifi are also available. Just before you reach the front of the library keep your eyes peeled for a statue of explorer Matthew Flinders and his little cat Trim. Trim accompanied Matthew Flinders on his voyages to circumnavigate and map the coastline of Australia in 1801–03. Can you see Trim the cat? Cross the road and enter the Botanic Gardens via the Morshead Gate. Follow the main path through the gardens towards Government House. The Conservatorium hold free concerts for the public – check their website for details. 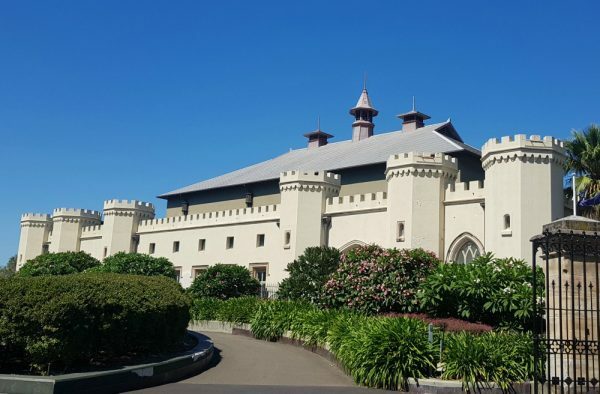 Another Francis Greenway Building, Lachlan Macquarie commissioned this rather grand building as a stable for the new Government House building. In 1915 the building was converted into the Conservatorium of Music. Insider tip: The “Con” as it is known locally offer free lunchtime concerts often on Wednesdays – check this website for the current calendar of events. 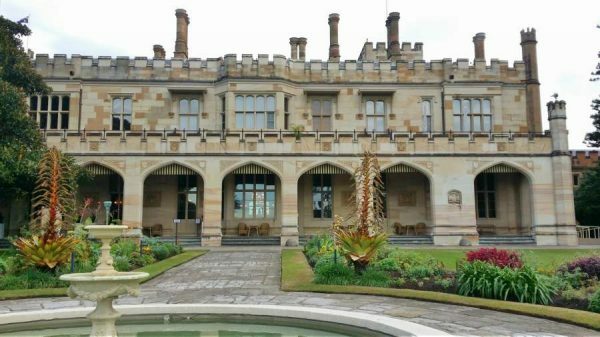 The official residence of the New South Wales governor Government House is a Gothic Revival style design that features castellated towers. The building was designed by Edward Blore, the same architect who worked on the British Houses of Parliament, Buckingham Palace and Winsor Castle. Free guided tours are available on most Fridays, Saturdays and Sundays and take approximately 45 minutes. The free tour is perfect if you have an interest in interior design. If you don’t have time for a tour, you can still stroll through the garden. Exit the house towards the waterfront and continue around to the Opera House. 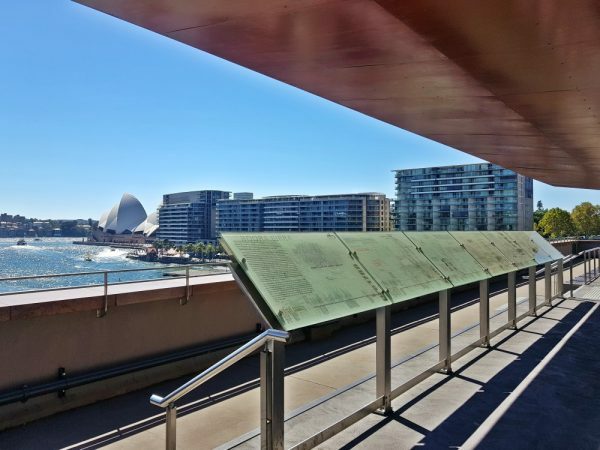 After a short stop for a coffee or a drink at Opera Bar or East Circular Quay continue walking toward the overhead railway tracks. You will notice a glass elevator that leads up to the roadway. 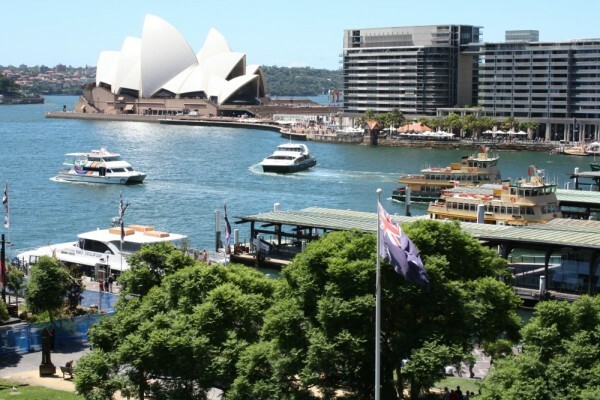 This is called Cahill Walk, and it offers excellent views of Circular Quay and the harbour from above. If you have time, there is some background information on the area presented under the shelter in the middle of the walkaway. Retrace your steps and go back down the elevator to the street. Walk under the rail overpass and cross Alfred Street to Customs House. 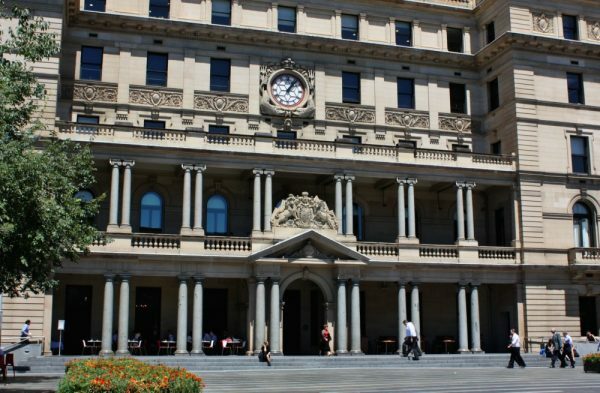 Built-in 1844 this grand building housed the NSW Customs service until 1990. 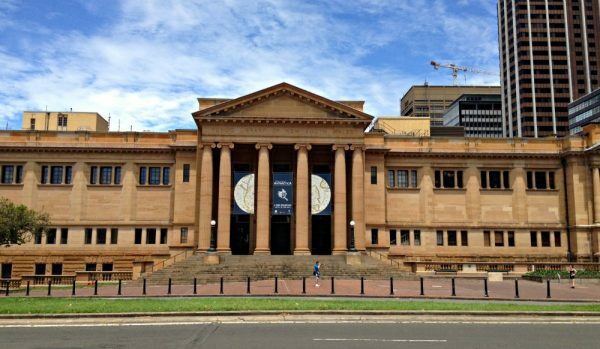 These days it is home to the City of Sydney public library, several restaurants and an exhibition space. If you are in need of a loo, there are toilets on the first and second floors of the library. There are also free PCs and wi-fi if you need to check your email. Pop into Customs House to view the free model of the city. 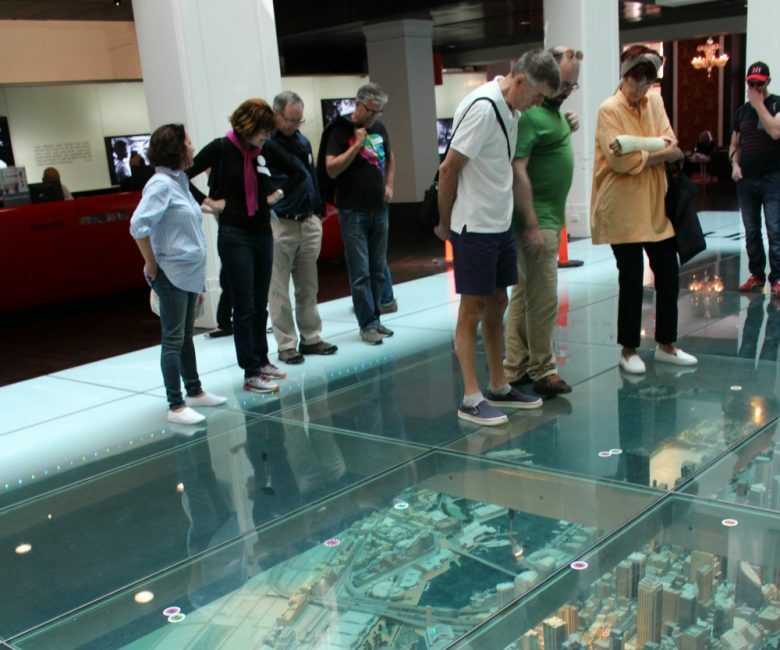 In the foyer is a 4.2m x 9.5m three-dimensional scale model of Sydney’s city centre viewed through a glass floor. It’s a great way to see where you have been and where you will go next. The model is helpful in getting an orientation of the city. 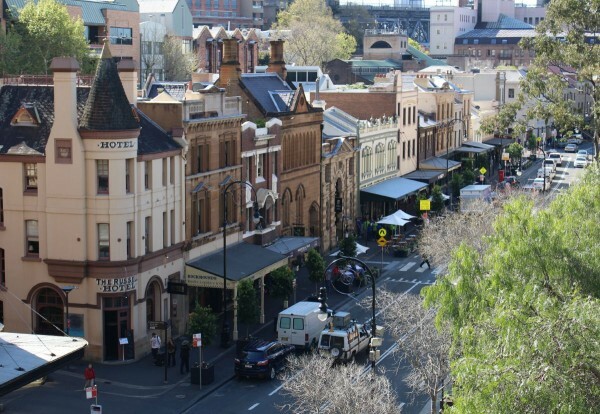 Cross the road and walk along George Street – this area is known as The Rocks. In this stretch of George St, there are no less than five pubs which to me seems like the perfect point to end this walk! Here you can either follow my Rocks Self Guided walk or just wander up the street and into some of the old pubs trying a few local brews as you go. 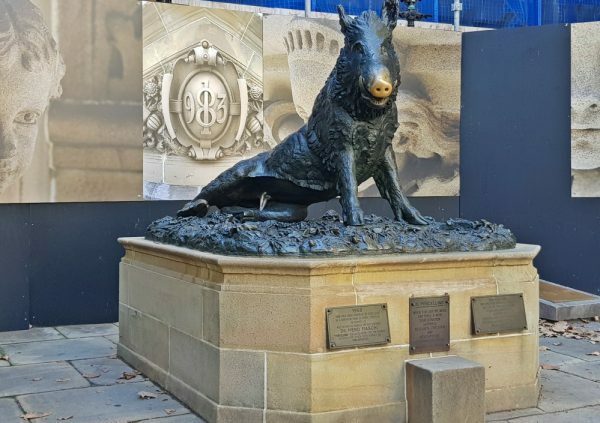 If you want to learn more about the pubs and the history of the Rocks area, there is an excellent tour called When Rum Ruled the Rocks that gives a great overview and includes a few free beers! Open the map in Google Maps for easy to follow directions and a few extra stops that are not included here. 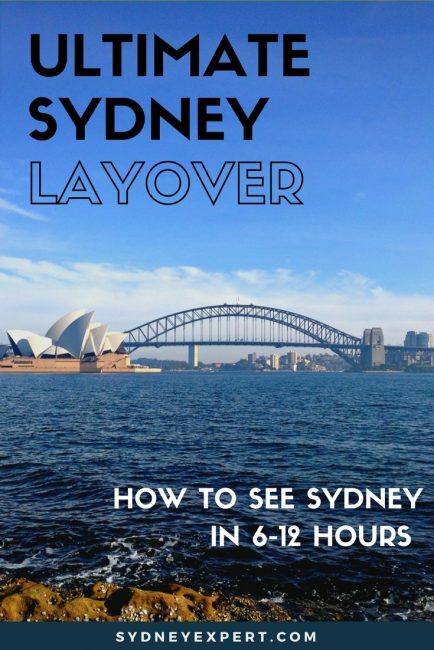 I’ve still yet to travel to Sydney, so this will be very useful for me when I go. I love the Corridor of Fig trees, so pretty, as is Cahill walk. One day I’ll get there. Very nice blog. We are planning a trip to sydney early next year. this post will come handy. thanks so much. I like the sound of a pub crawl 😀 Thanks for all these suggestions, I am planning to visit Australia and Sydney of course, next year during Christmas! I love the architecture of the buildings here, I’m sure the city will light up and come to life even more during Christmas time ? This is a really great list! I loved visiting Sydney! I wasn’t expecting to see so many historic sites but there were. I wasn’t able to do the George Street Pub Crawl, but the Rocks neighborhood was my favorite. I’m planning on a trip to Sydney in a couple of weeks. Can u give me a location as to where to start, where to park if driving. Any information would be great. Sydney is on my list since long. I have so many plans coming year, but your post is tempting me to adjust my dates for hitting Sydney. I always prefer self-guided city walks and explore a place at my own pace. That’s the best part about this post. Thanks.